AT HOME AND IN THE CLASSROOM. 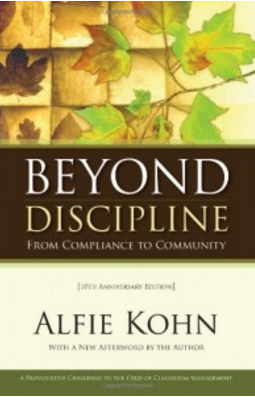 Alfie Kohn writes and speaks widely about education, parenting, and human behavior. 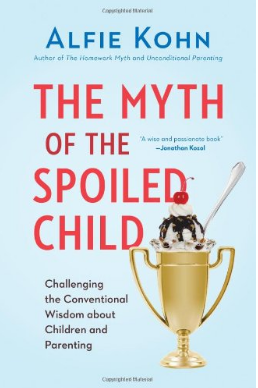 He is the American author of 14 books, including PUNISHED BY REWARDS, THE SCHOOLS OUR CHILDREN DESERVE, BEYOND DISCIPLINE, UNCONDITIONAL PARENTING, THE HOMEWORK MYTH, THE MYTH OF THE SPOILED CHILD, and, most recently, SCHOOLING BEYOND MEASURE. 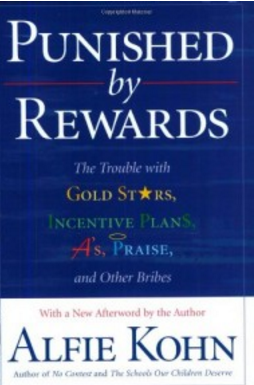 Kohn's criticisms of rewards and competition have helped to shape the thinking of educators – as well as parents and managers – across the globe. Time magazine described him as the country’s “most outspoken critic of education’s fixation on grades and test scores.” He has been featured on numerous TV programs, including two appearances on “Oprah.” Kohn lives (actually) in Boston and (virtually) at www.alfiekohn.org. Take aways: Interesting proposal of making the student participate in his/her own grading. For sure the most important learning in life comes from self introspection, as teachers we should definitely make sure this is happening. 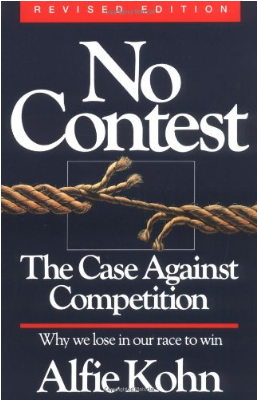 At the same time, an external competition with peers is stimulating, brings us out of our comfort zone and we can learn from each other. As in competitive sports, entrepreneurship and everything else in life, the main focus should not be in crushing each other, but to be inspired to be a better and happier person in everything we do. Take aways: I am very glad to have participated in both the conference and the seminar. 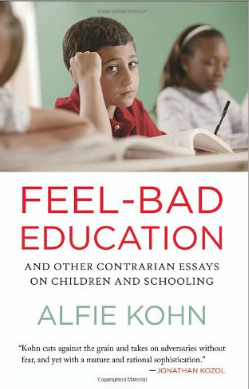 Alfie Kohn gave us food for thought. I am very interested in reading about the topics we have discussed this day. Something called my attention. Instead of using his time to talk and let the questions to the end like usual, he interacted with us all the time. Exactly the way we are supposed to do in class. I am used to work with student centered classes. However, grades and tests were always part of the routine. Seminars like this one we attended are extremely important to our formation not only as professors and teachers, but also as citizens. They help us be more critical and reflect upon our own practice. Besides that, as a mother of three including an autistic girl, I learned tips I can apply at home. Low grades, the feeling of being incapable and low self esteem were part of our routine along 18 years. We must support positive changings. We must support research and studies. 2:00 p. m. - 5:30 p .m. Educational researchers have discovered that there is a significant difference between getting students to think about their achievement (that is, how well they are doing in school) and getting them to think about the learning itself (what they are doing). These orientations often pull in opposite directions, which means that too much emphasis on achievement can reduce students’ interest in learning — and cause them to avoid challenging tasks. When the point is to prove how smart you are, to get a good grade or a high test score, there is less inclination to engage deeply with ideas, to explore and discover. 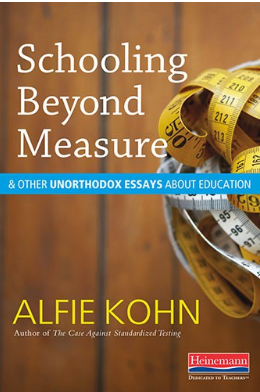 Thus, as Alfie Kohn will explain, the problem with testing is not only how bad the tests themselves are, but also how much attention is paid to the results. 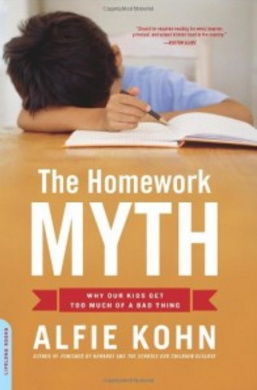 Even new, “authentic” assessments may backfire if students are constantly led to ask, “How am I doing?” Getting students to become preoccupied with achievement may paradoxically undermine this very goal because of what happens to their motivation in the process. 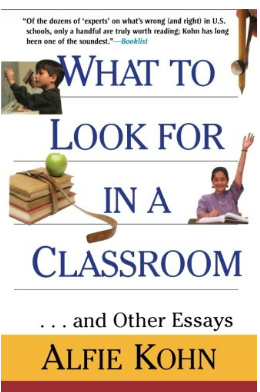 In this seminar, he will invite us to consider the implications of this basic distinction (between achievement and learning) for our curriculum, our pedagogy, and especially for the way we evaluate students: Creating a learning-centered classroom, he will argue, must begin with the elimination of letter or number grades. If we want students to take responsibility for their learning and behavior, it is up to us to give them responsibilities. Young people learn to make good decisions by having the chance to decide about what happens to them every day — not by following someone else’s directions. Research shows unequivocally that students learn more effectively and care more about what they are learning when they have some say about what is going on. (By contrast, students, like adults, may suffer from burnout when they feel powerless.) 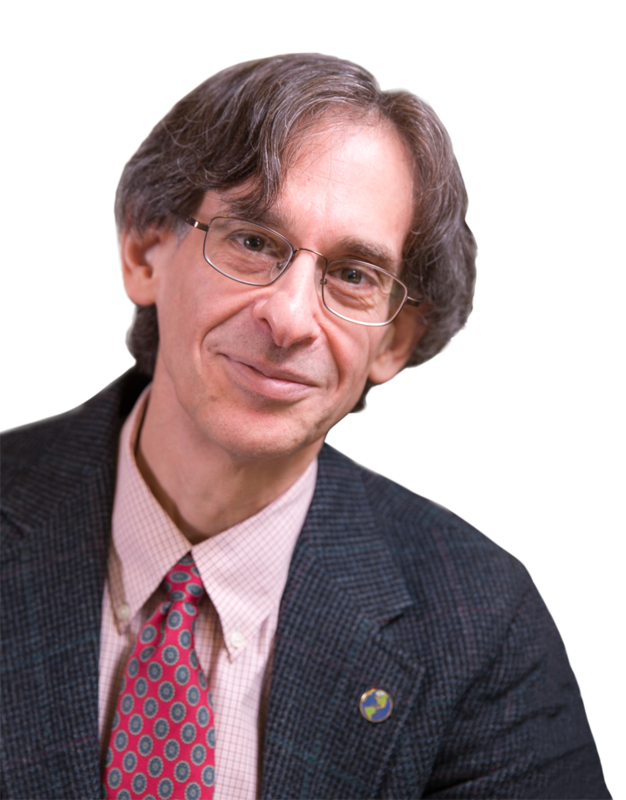 Alfie Kohn will describe the whys and hows of supporting students' autonomy at school -- and children's autonomy at home -- by bringing them into the process of making decisions about what affects them.